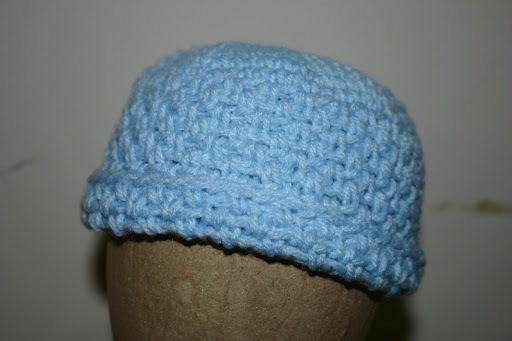 Since the winter months are quickly approaching; we had our first frost last night!, I figured it was time to post some winter hats for babies. This little darling is for newborn boys. 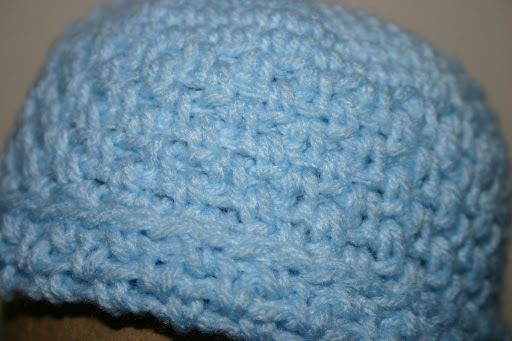 Super cute beanie, made with single crochets and seed stitches for the pattern, it is sure to keep any little bundle of joy snug and warm. And naturally, this can be made in any color. This entry was posted in Uncategorized on October 30, 2010 by littlebirddesignsfxbg. 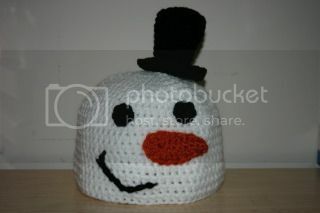 I am not so new to crochet but until recently I hadn’t heard of amigurumi. I get emails from Lion Brand all the time showcasing new patterns and materials, some of which are cute little crochet dolls and animals. 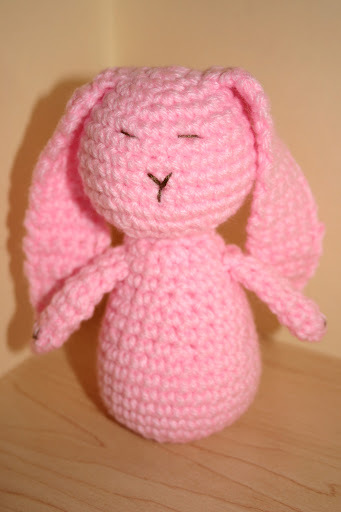 So as I was going through my emails this past week I stumbled upon a pattern for an ultra cute bunny amigurumi. Once I decided to make the bunny, it was a non-stop race to the finish. I worked hard and stayed up late to get the bunny finished in just a few hours. I did not however make the bunny per the instructions. I wanted my bunny to have a longer torso, longer skinnier arms, no legs and different ears. At first the changes in the pattern were accidental; I was watching a Pay-Per-View and crocheting at the same time, which is never good for following a pattern. I made my “Weebler Bunny” by adding four rows to the midsection before decreasing and totally rewrote the pattern for the arms and ears. Creating my first amigurumi was relatively easy. I really enjoyed the process, it was pretty simple once you see the pattern in them. I will be designing my own from ground zero next time. I think I am going to try to make a Murloc from the Warcraft series and also try to make a Pocoyo doll. This entry was posted in Uncategorized on October 24, 2010 by littlebirddesignsfxbg. Brims, Buttons, and Flowers, Oh My! This entry was posted in Uncategorized on October 21, 2010 by littlebirddesignsfxbg. Well, I am moving right along. Of the three hats I was commissioned to make, two are complete! The second in the hat department is called Little Bow Bear. 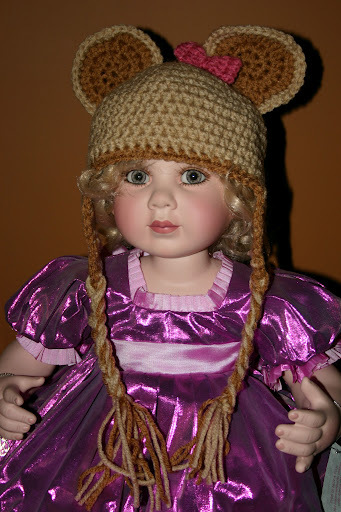 It is a camel and light brown hat with a raspberry pink bow. I thought it would be cute with ear flaps so I added those too! This entry was posted in Uncategorized on October 20, 2010 by littlebirddesignsfxbg. I have often wondered recently what our world would be like if more people created things. Would we be better people, kinder and more giving? Would we be less materialistic? Would we have less wars and fights? I think the answer to all these are YES! 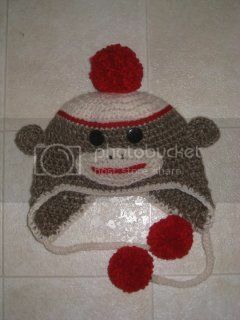 I have found making items for others very therapeutic. I would like to build a successful home business and have family be a part of that business. I feel I can do some good in this world by expressing myself creatively through jewelry and crochet. Giving to the needy and supporting my family at the same time is the ultimate goal. With God’s help, this may come to pass. Oh how I long for days gone by, where friends would help friends, neighbors helped neighbors, and communities were small but perfect. Days when long forgotten arts; like crochet, knitting, and sewing, were common place and done in little societies for women. How I wish I could live in a community of women who take care of their own children, not a daycare, used their talents for the good of others and advancement of their families, and were the rulers of their domain-the home!